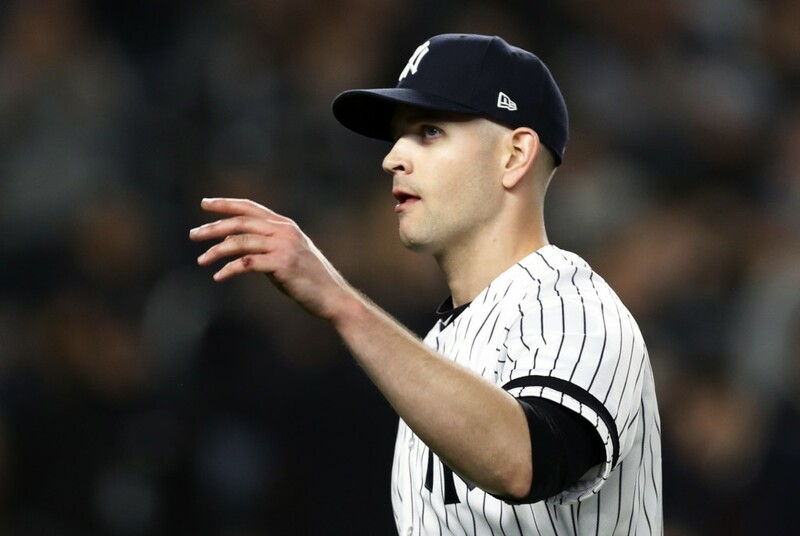 Paxton (2-2) pitched two-hit ball for eight innings, walking one and going to just two three-ball counts in a game that took only 2 hours, 23 minutes. PHILADELPHIA (AP) — Scott Kingery and J.T. Realmuto each had three hits and five RBIs as Philadelphia routed New York. Nick Pivetta (2-1) gave up three runs and seven hits in five innings. Mets starter Steven Matz (1-1) allowed eight runs — six earned — without retiring a batter. He had allowed only three earned runs total in his first three starts. The lefty's ERA rose from 1.65 to 4.96. DETROIT (AP) — Starling Marte hit a two-run homer in the 10th inning to lift Pittsburgh over Detroit. Pittsburgh starter Joe Musgrove permitted his first two earned runs of the season. He yielded six hits and a walk while striking out six in seven innings. 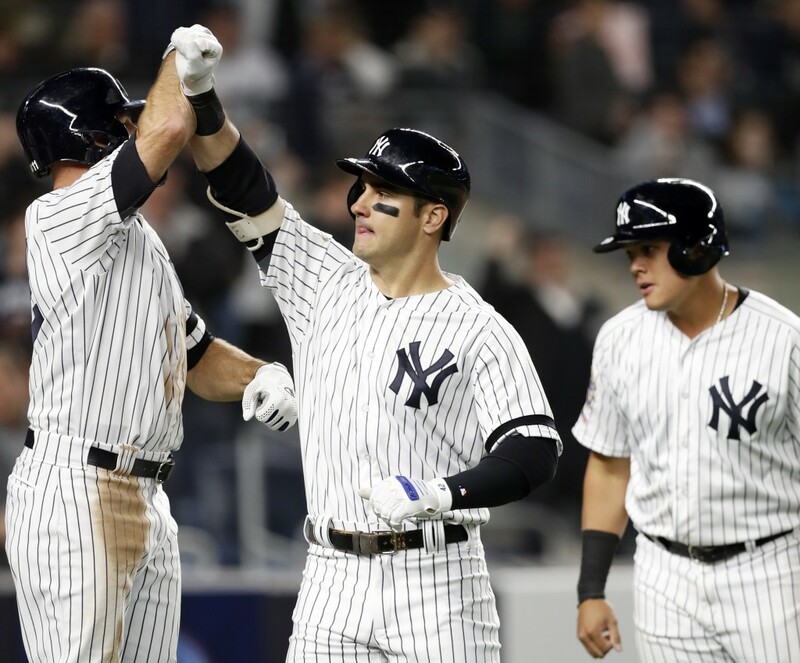 ST. PETERSBURG, Fla. (AP) — Tyler Glasnow allowed two runs over seven innings in winning his fourth consecutive start to begin the season and Avisail Garcia drove in three runs as Tampa Bay beat Baltimore for its seventh win in eight games. Glasnow (4-0) allowed hits to six of the first 13 batters, but allowed one hit over his final 4 2/3 innings and ended the outing by retiring 10 in a row. Garcia hit a two-run homer during a three-run fourth, and added an RBI single in the eighth. Jose Alvarado and Diego Castillo, who earned his second save, each went a perfect inning. The Orioles got an RBI from both Rio Ruiz and Renato Nunez, and Dylan Bundy (0-2) gave up three runs and three hits over five innings. MIAMI (AP) — Jose Quintana gave up six hits in seven innings to lead Chicago over Miami. Quintana (2-1) struck out seven and extended his scoreless innings streak to 14. He didn't allow a runner to reach second until Austin Dean's two-out double in the seventh. Javier Baez went 3 for 4 and hit his fifth homer, a solo shot to the opposite field off Adam Conley in the eighth. Baez has three hits in each of his last three games. Ben Zobrist hit a sacrifice fly in the ninth for Chicago's fourth run. Brandon Kintzler relieved Quintana and surrendered a two-out single to Brian Anderson and walked Starlin Castro. Pedro Strop pitched a scoreless ninth for the Cubs, who have won five of six. WASHINGTON (AP) — Evan Longoria, Brandon Belt and Steven Duggar homered off fastballs from Stephen Strasburg and light-hitting San Francisco powered past Washington. The Giants entered the game with 10 homers through their first 17 games. They won for the fourth time in five games. Strasburg (1-1) allowed four runs in six innings. Still learning to pitch with a fastball that sits in the low-to-mid-90s, instead of the high-90s heat he possessed before Tommy John surgery and other ailments, he's served up five homers over his past two outings. Dereck Rodriguez (2-2), son of Hall of Famer and former Nationals catcher Ivan "Pudge" Rodriguez, gave up one run and five hits in five innings. ATLANTA (AP) — Christian Walker homered leading off the ninth inning and Arizona rallied against the shaky Atlanta bullpen. The Braves squandered a massive, knee-buckling homer by Ronald Acuña Jr. and another strong start by Max Fried. Johan Camargo's three-run double in the fifth put the Braves ahead. Fried finally gave up his first earned runs of the season but left with a 5-2 lead, only to watch the relievers give it away. Chad Sobotka and Jesse Biddle didn't retire anyone as the Diamondbacks pushed across four runs in the seventh to reclaim the lead. After Ozzie Albies homered in the bottom half to tie the game at 6, Walker drove the second pitch from A.J. Minter (0-2) deep into the seats to start the ninth. Adam Jones brought home two insurance runs with a double that deflected off the glove of Acuña. Yoshihisa Hirano (1-1) claimed the win. Greg Holland picked up his third save. Acuña launched a 448-foot shot over the Braves' bullpen in right-center field. Walker went 3-for-4 with two RBIs. Eduardo Escobar also drove in two runs. MINNEAPOLIS (AP) — Teoscar Hernandez and Justin Smoak hit two-run singles as Toronto rallied past Minnesota. Hernandez singled off Twins reliever Trevor Hildenberger in the top of the seventh to give Toronto a 6-4 lead. Hernandez had capitalized against Minnesota's bullpen a day earlier, too, hitting a home run in the eighth inning that gave the Blue Jays a 5-3 win Monday. The game ended with the Twins' C.J. Cron getting thrown out at home plate. Cron tried to score from first base on a double to left field by Byron Buxton. Eddie Rosario hit a three-run home run and Jorge Polanco and Marwin Gonzalez also homered for the Twins. Aaron Sanchez (2-1) allowed four runs in six innings to earn the win for Toronto. Reliever Trevor May (1-1) was charged with the loss for Minnesota. MILWAUKEE (AP) — Christian Yelich hit a three-run homer, his eighth against St. Louis this season, to help send Milwaukee to the win. Yelich's 427-foot homer to right center in the fifth inning was his ninth of the season and put Milwaukee up 8-0. He is the first player to homer in six consecutive games against the Cardinals. The Brewers have won nine of their last 10 against St. Louis, including four in a row. ARLINGTON, Texas (AP) — Mike Minor threw a three-hitter for his first career shutout, backed by two-run homers by Joey Gallo and Asdrubal Cabrera, as Texas beat Los Angeles. Minor (2-1) limited Los Angeles to three singles while throwing 103 pitches with seven strikeouts and two walks. Cabrera put Texas up 3-0 when his deep fly appeared to ricochet of the wrist of leaping right fielder Kole Calhoun and go over the 8-foot wall in the fourth off Jaime Barria (1-1). Gallo pulled a 439-foot shot that landed on the concourse beyond the lower-level seats to greet reliever Dillon Peters in the sixth and make it 5-0. It was the sixth homer of the season for both Gallo and Cabrera. CHICAGO (AP) — Yoan Moncada hit a pair of solo shots for his first multihomer game and Leury Garcia added a two-run drive to power Chicago past Kansas City. Reynaldo Lopez (1-2) allowed one run and five hits in six innings. Four relievers worked the final three innings for Chicago. Lucas Duda homered for the Royals. SAN DIEGO (AP) — Nolan Arenado homered for the third straight game — a two-run shot on his 28th birthday — and Jon Gray pitched seven strong innings as Colorado beat San Diego for a two-game sweep and its first three-game winning streak of the season. Gray (1-3) allowed a home run in an NL-record 16th straight game when Wil Myers connected leading off the fifth, but otherwise tamed the Padres, who have lost three straight for the first time this season. Gray improved to 9-3 lifetime against San Diego by holding the Padres to one run and three hits while striking out five and walking three. Rookie Garrett Hampson hit his first career-homer and Raimel Tapia had a two-run triple for the Rockies. Charlie Blackmon hit an RBI double in the second and Tapia a two-run triple in the third. Trevor Story had a career-high three stolen bases.